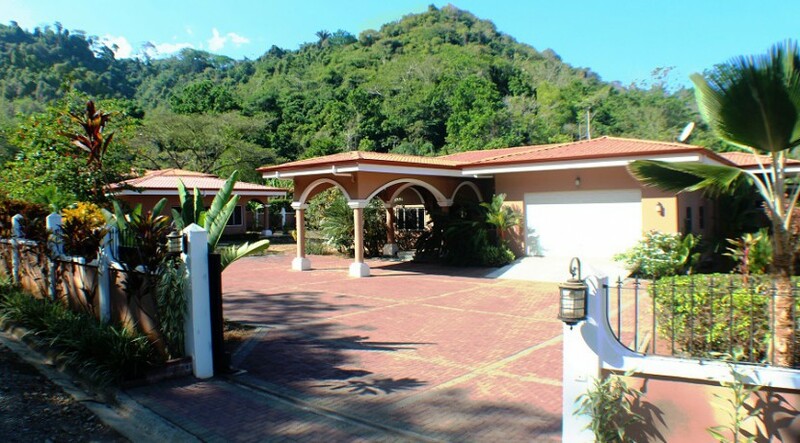 Welcome to beautiful Emerald Valley Estate. 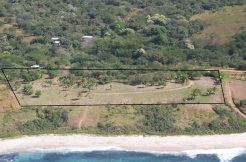 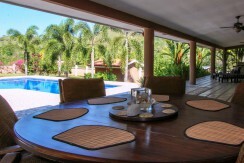 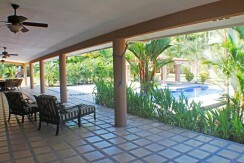 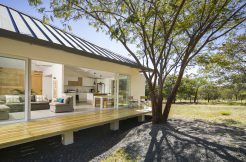 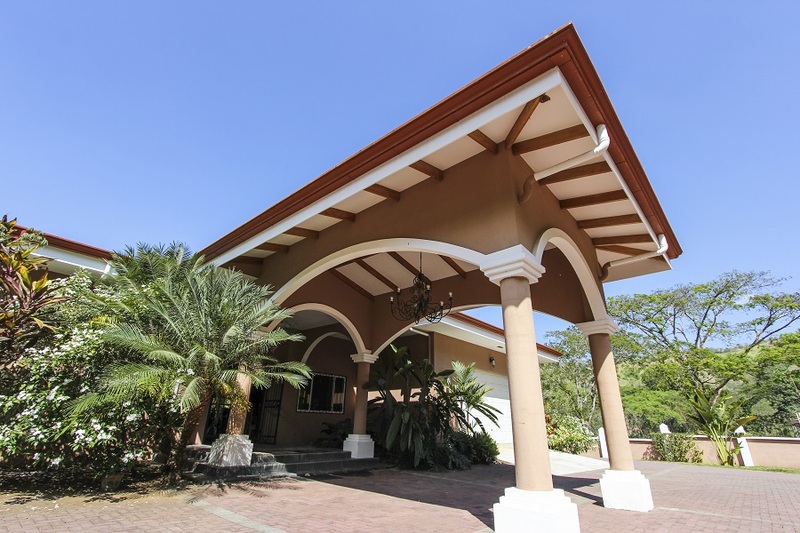 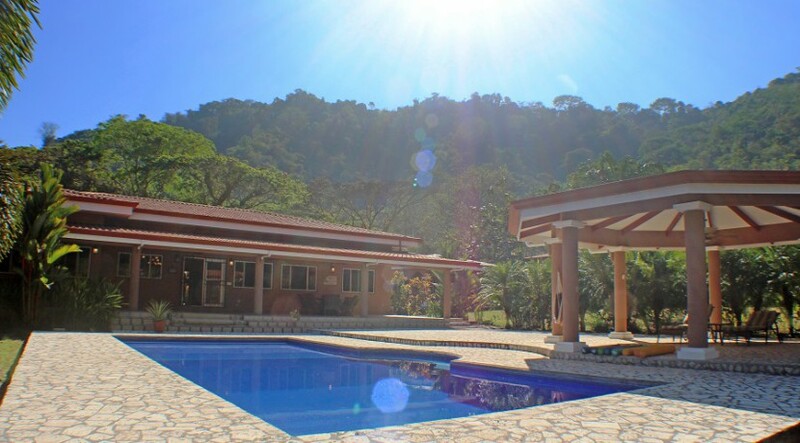 This new exclusive listing is located just a five minute drive to Jaco Beach and Los Sueños Marriot and Marina Resort, yet seems a world away in a quiet Costa Rica paradise all its own. 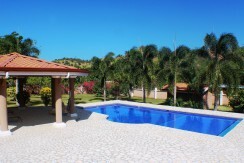 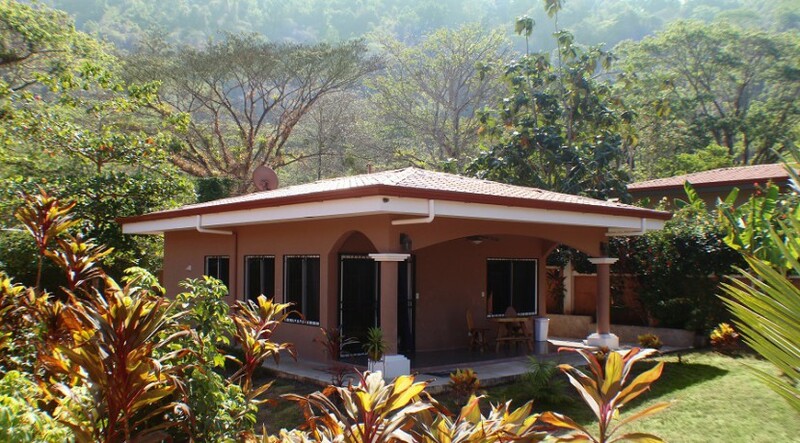 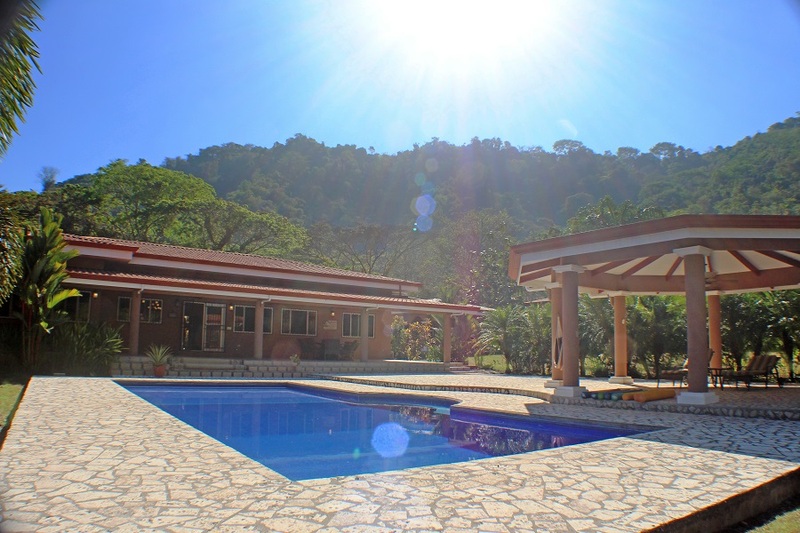 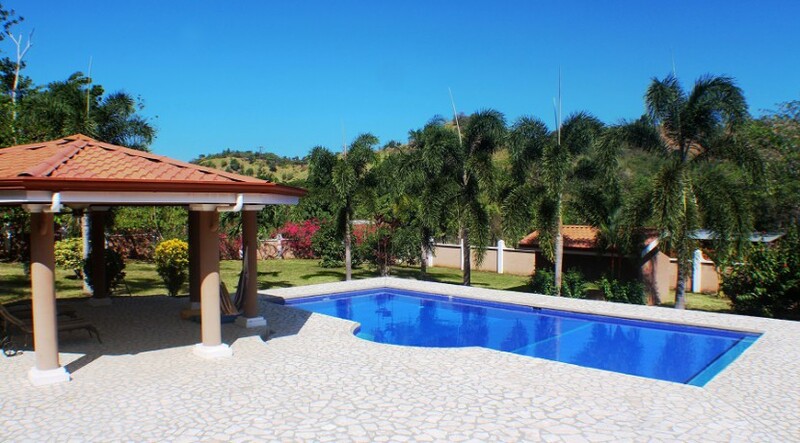 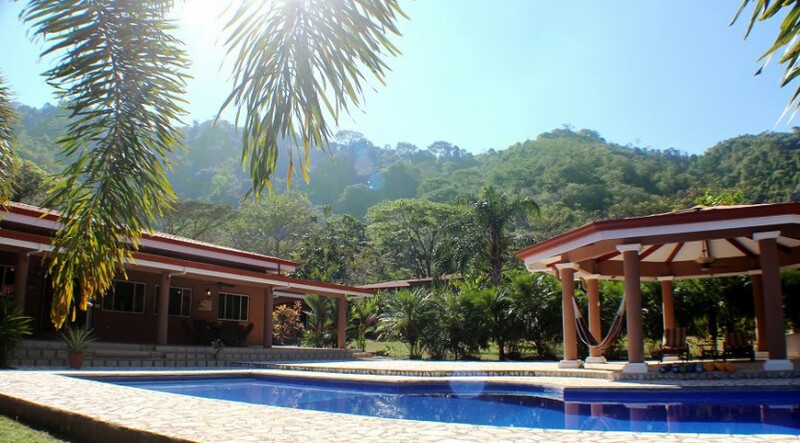 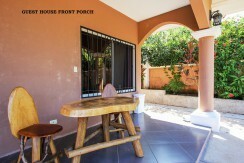 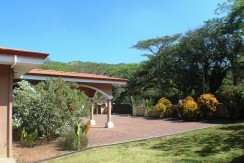 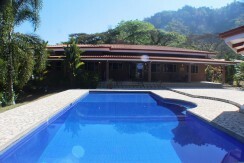 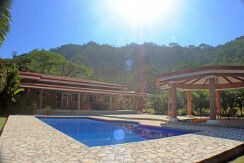 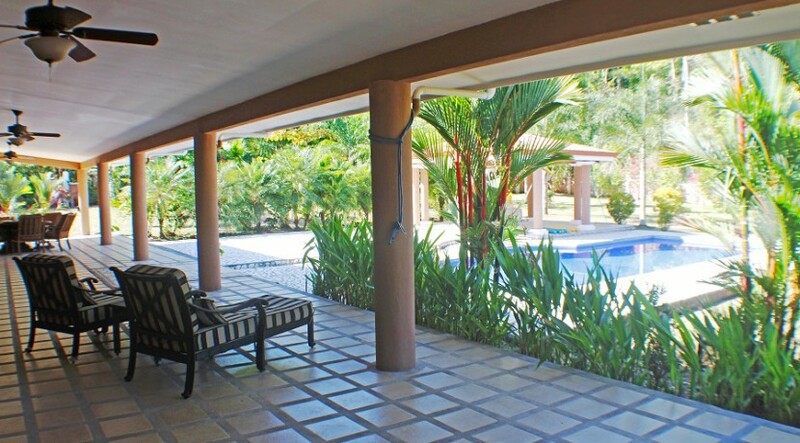 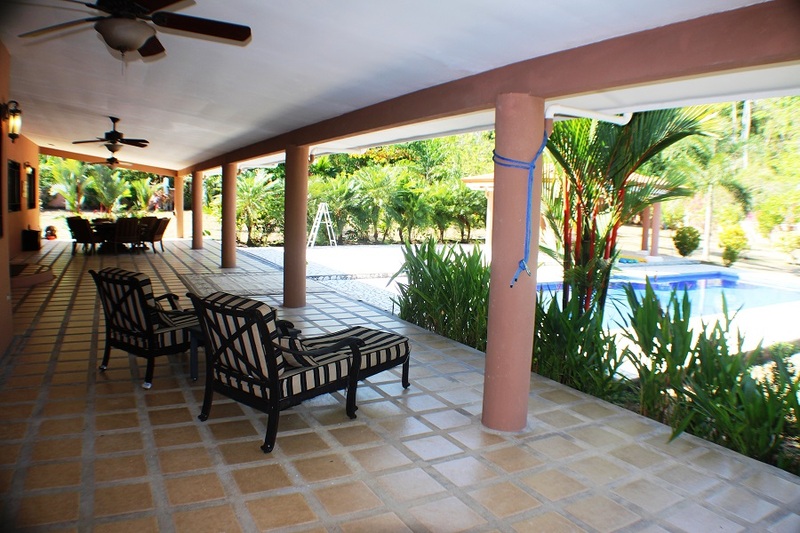 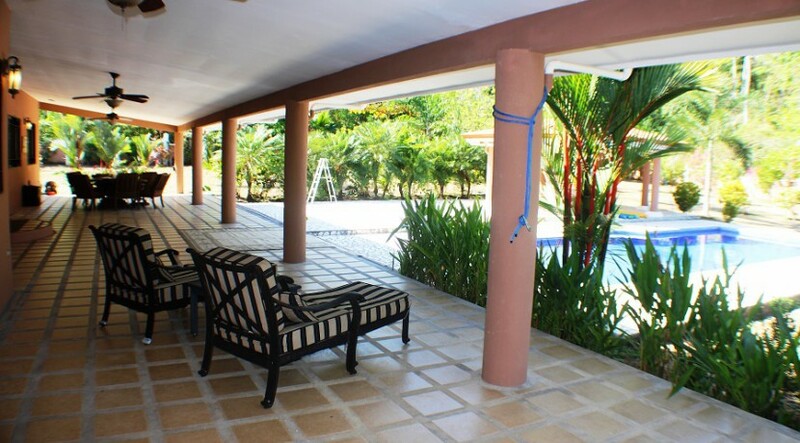 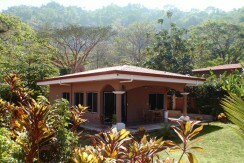 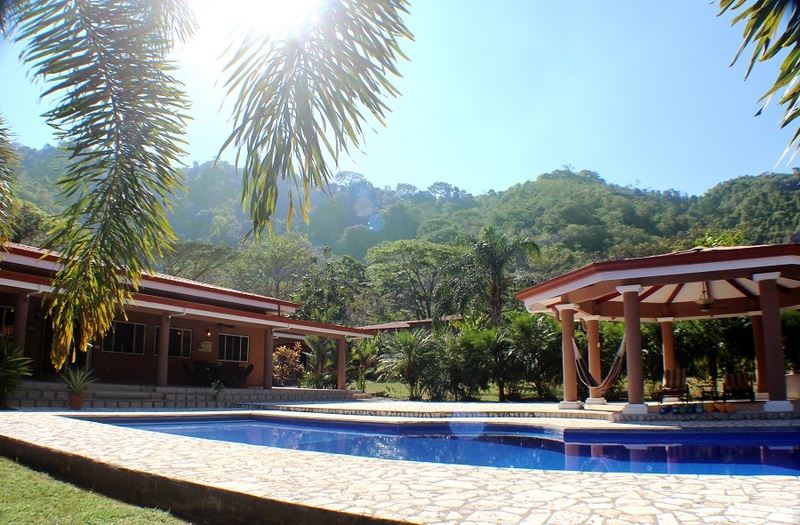 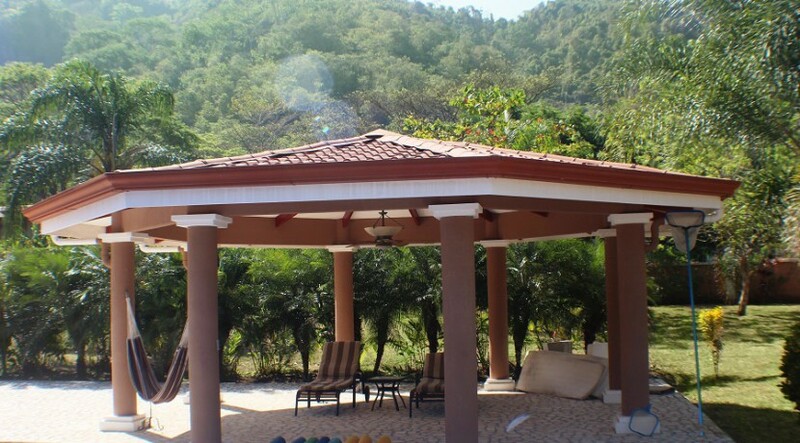 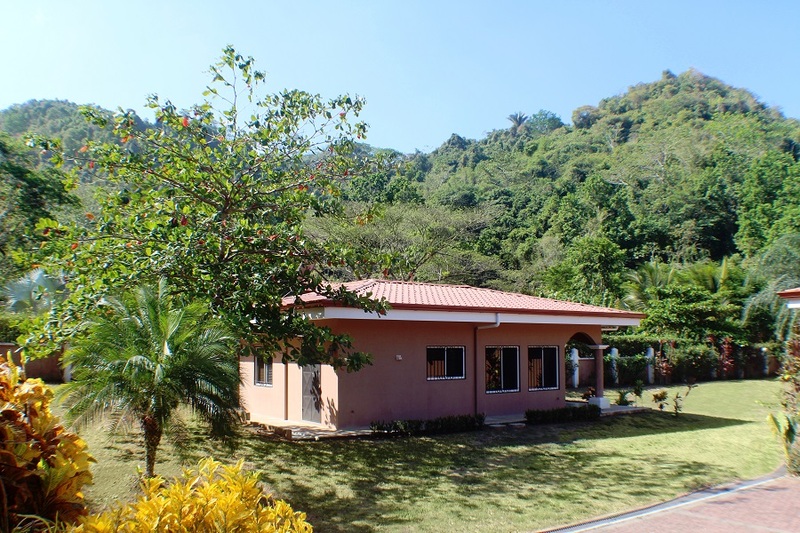 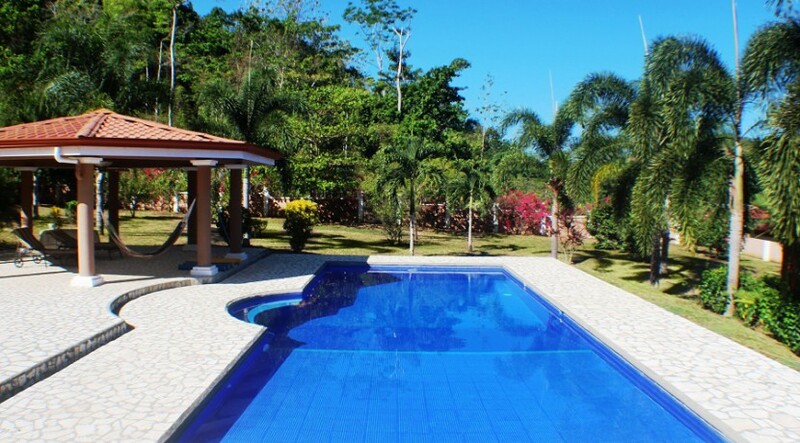 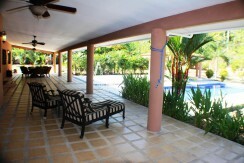 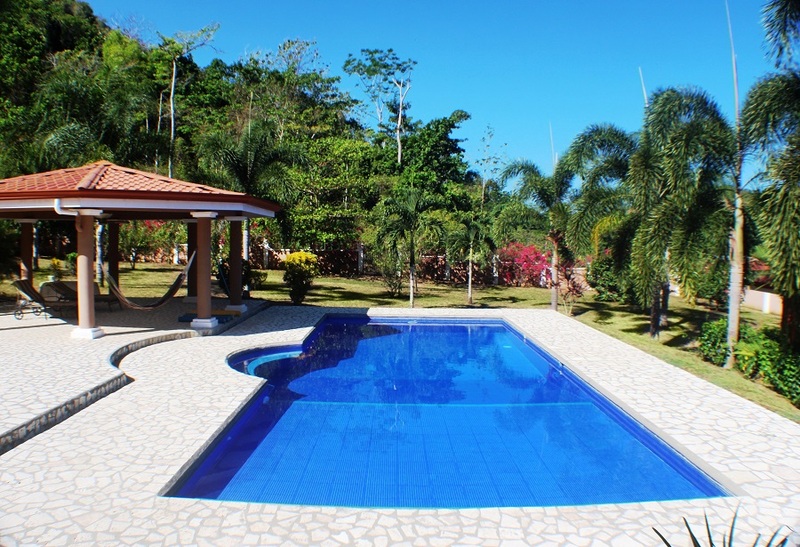 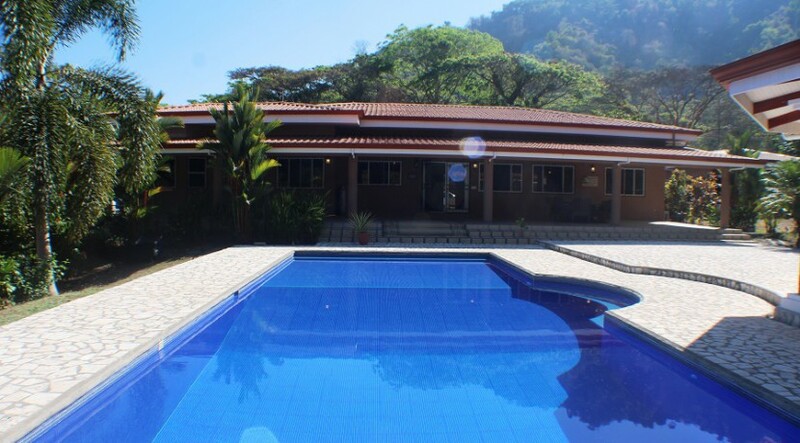 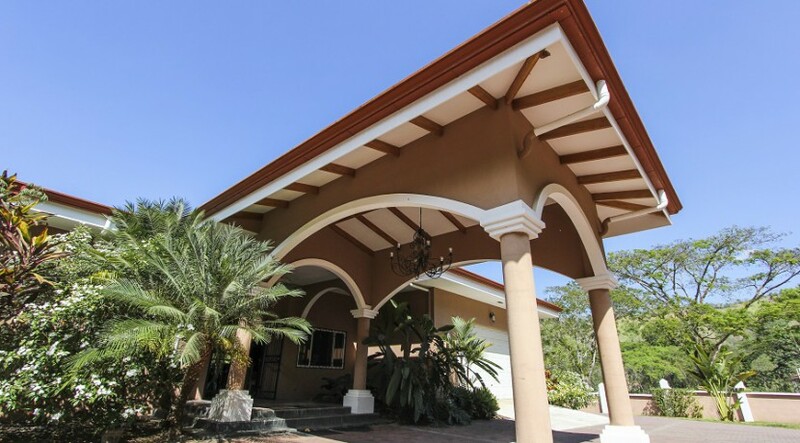 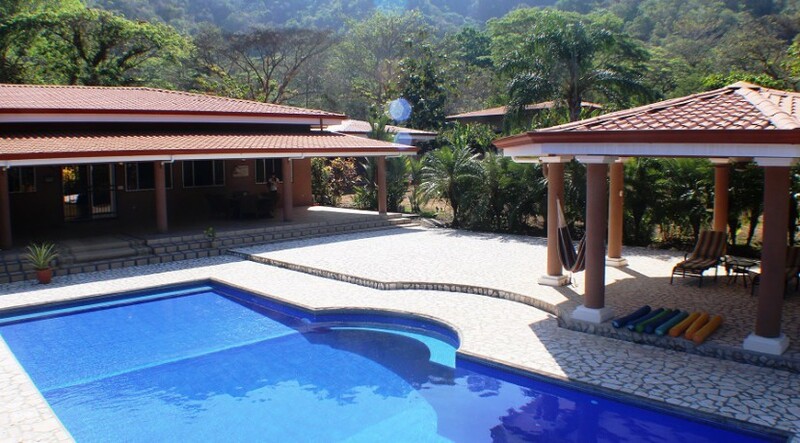 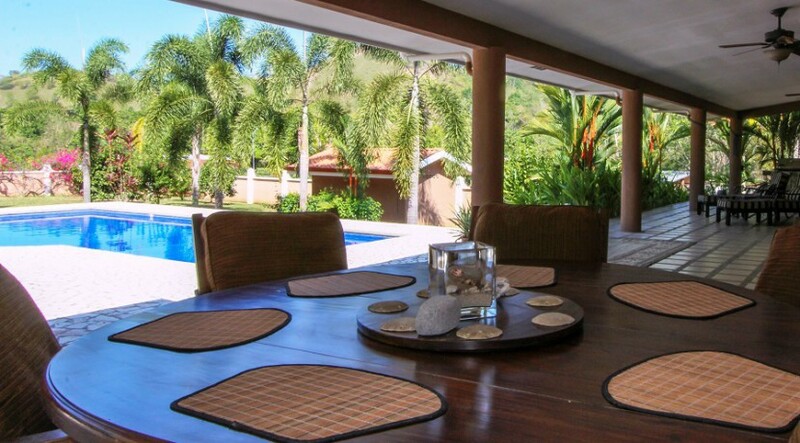 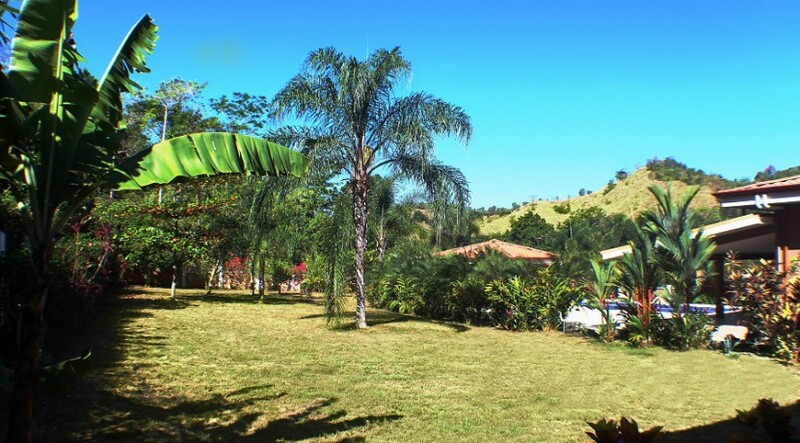 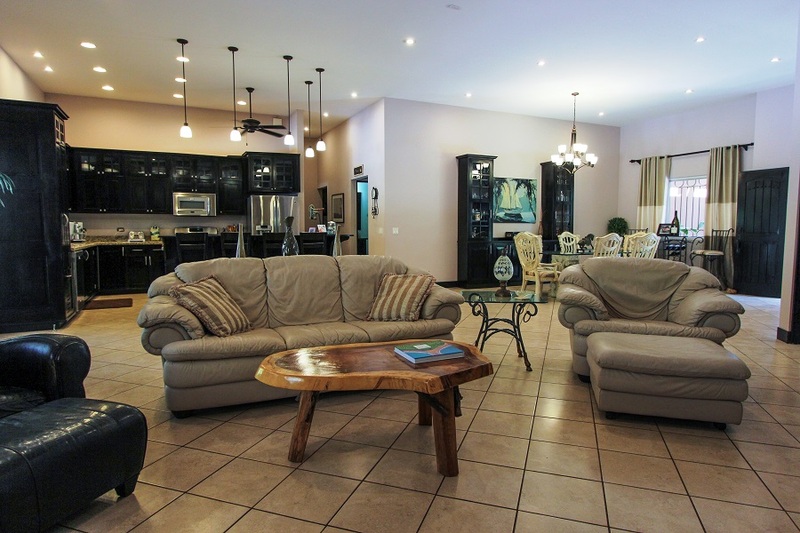 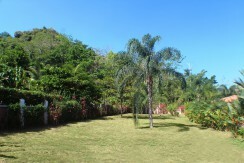 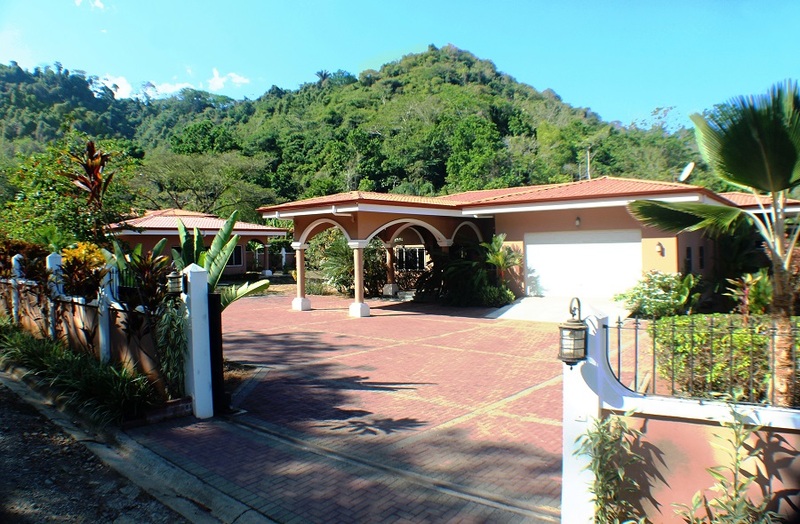 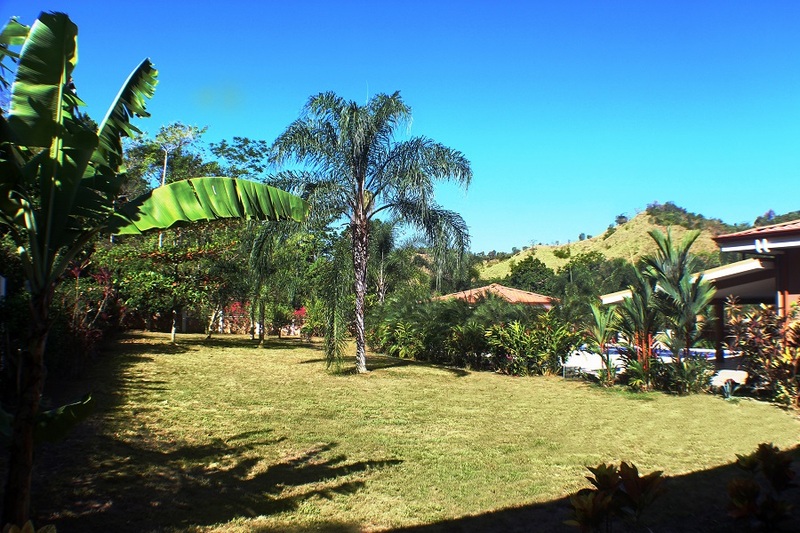 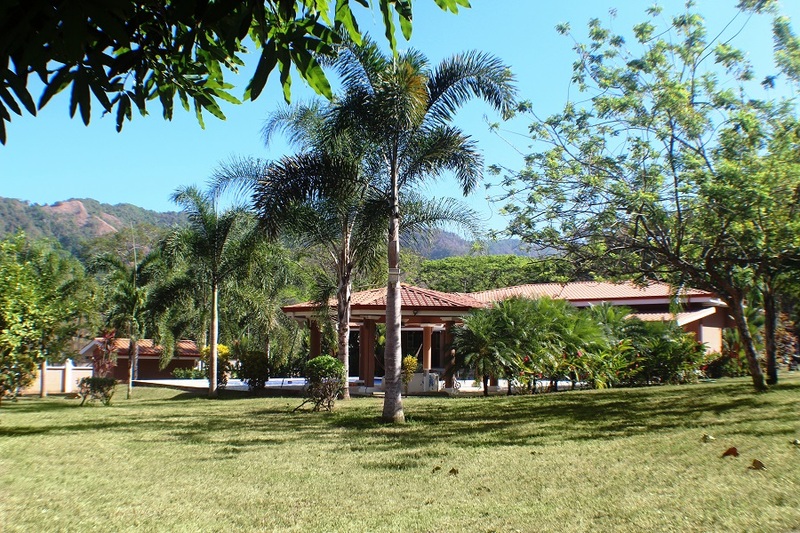 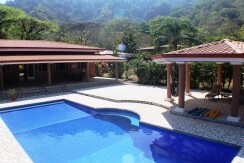 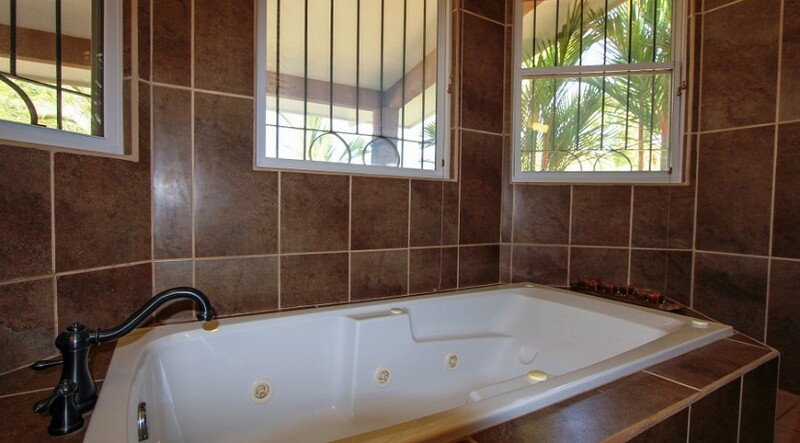 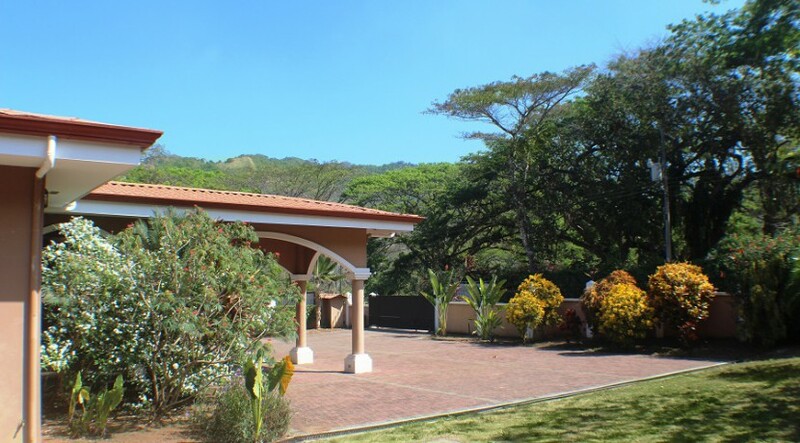 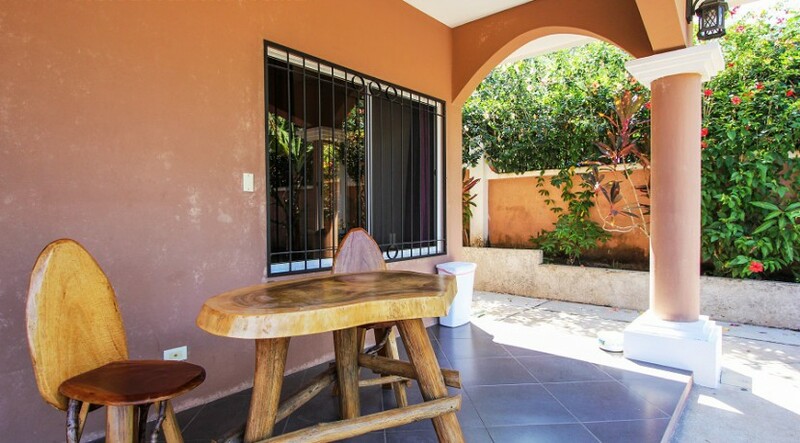 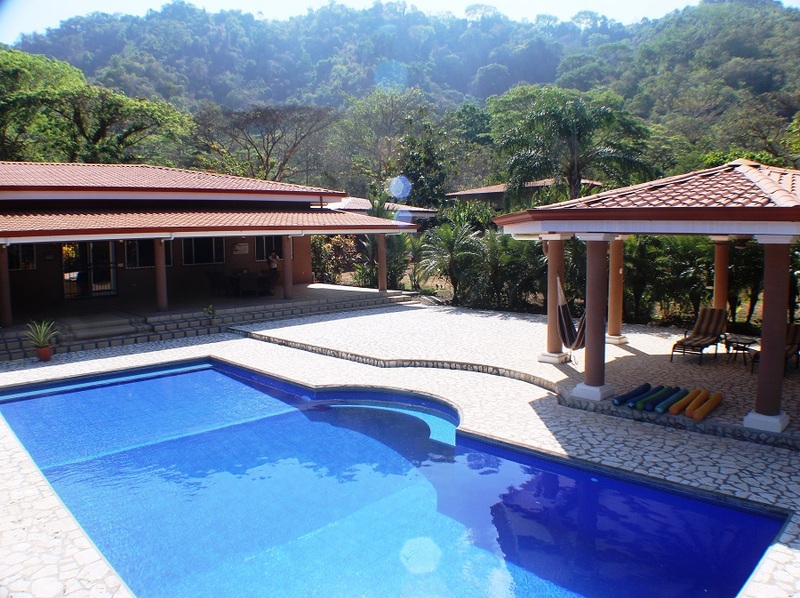 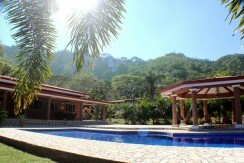 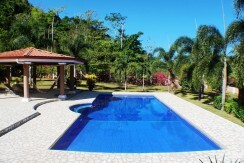 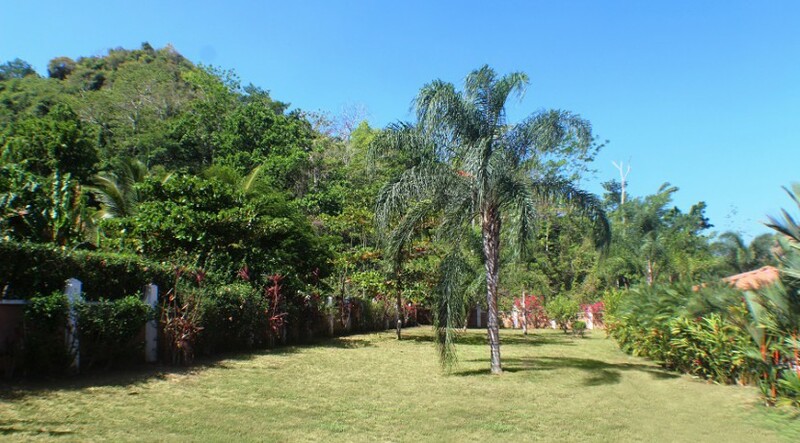 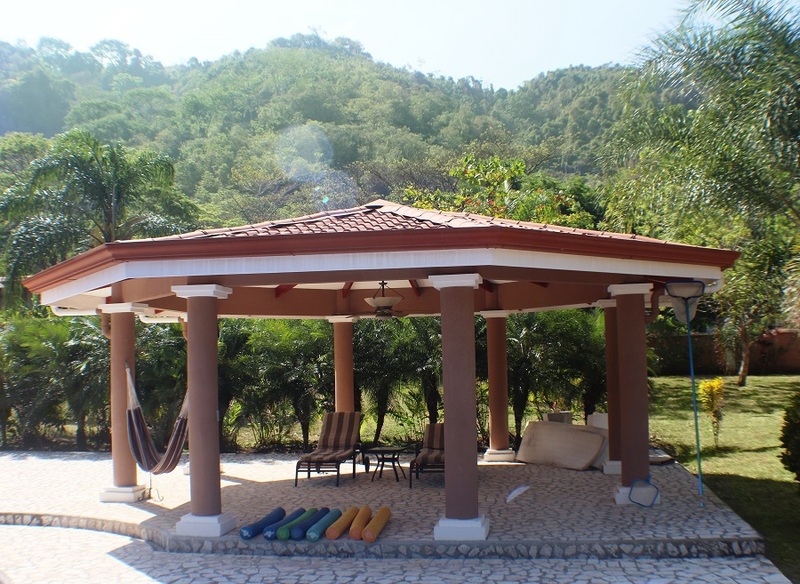 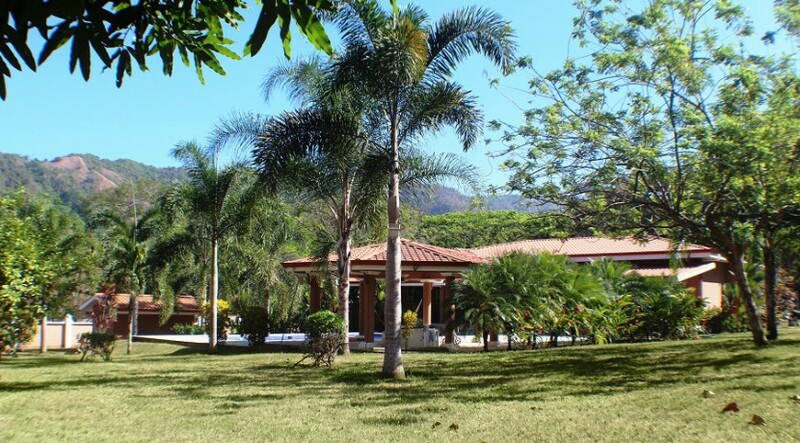 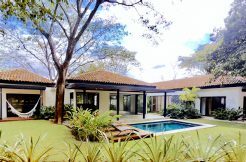 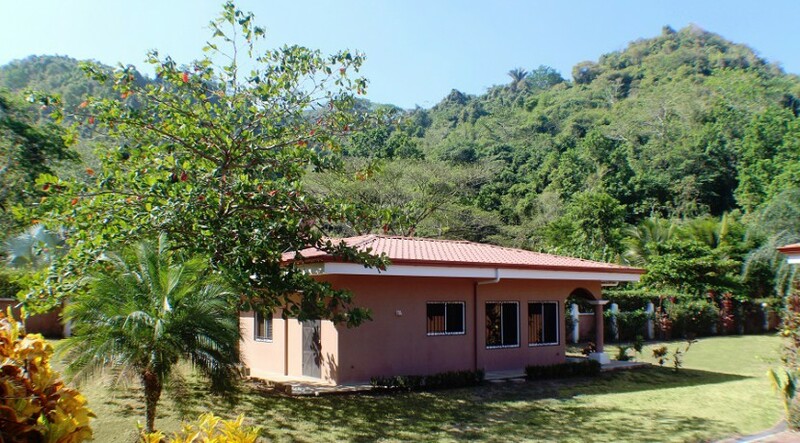 This spacious three bedroom luxury home with private pool and one bedroom guest house is located on a huge 5000 meter lot (just over an acre) in a setting of natural splendor, ringed with hills covered in lush rainforest canopy. 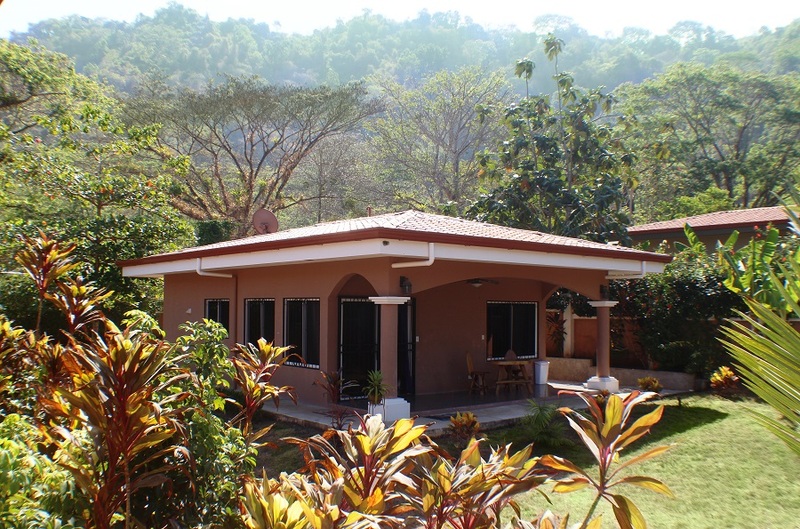 There is a small river near the property and beautiful Costa Rican wildlife and flora and fauna are ever-present in this enchanting area. It is secluded yet easily reached on a new paved road from the main highway almost all the way to the driveway. 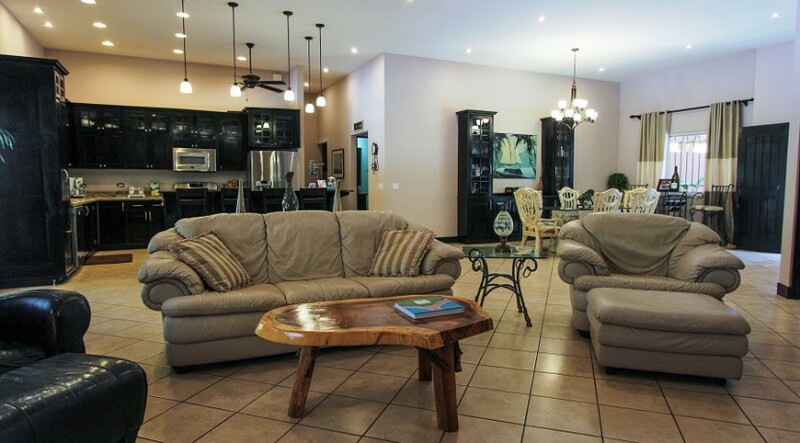 The main house is a spacious 4088 square feet (includes the grand outdoor patio area), and open floor plan with 12 foot ceilings accentuate a large living room, dining room, and fantastic fully equipped kitchen with granite countertops and custom built cabinets, breakfast bar, and stainless steel appliances. 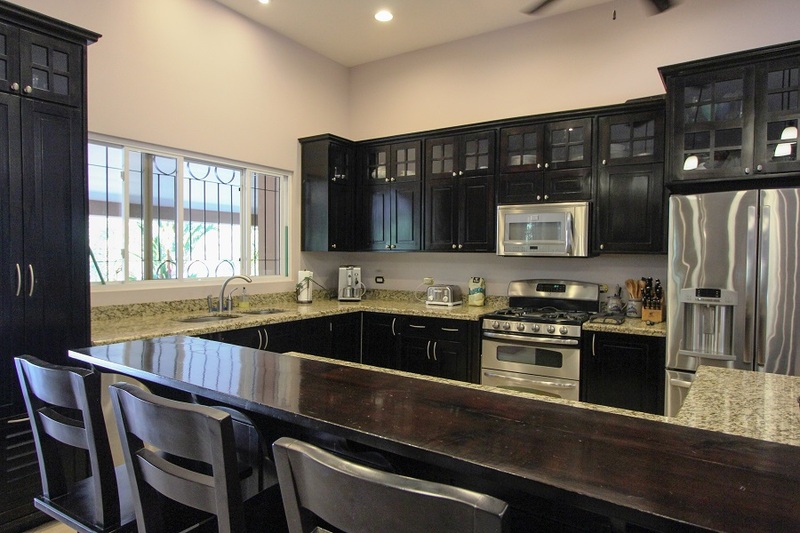 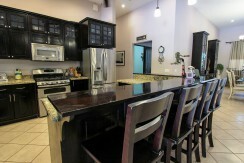 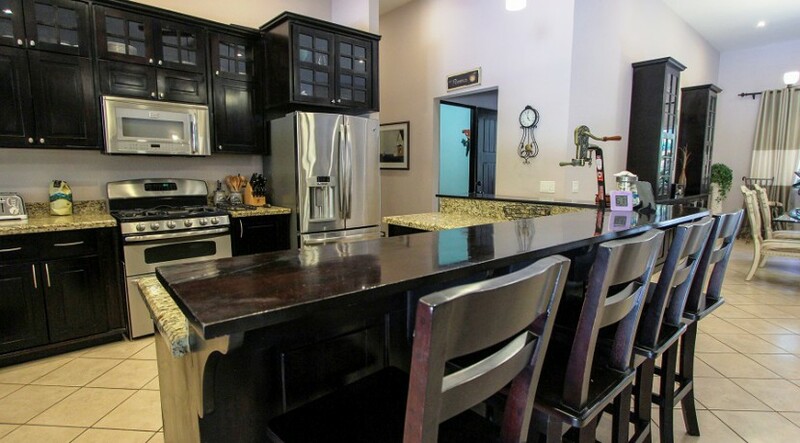 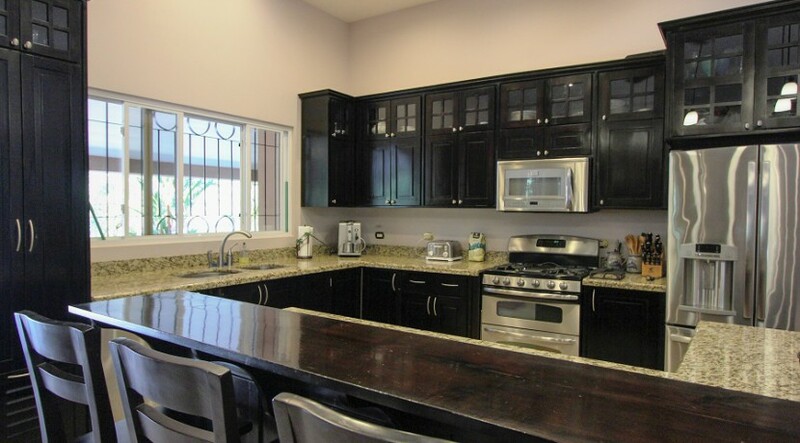 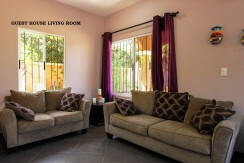 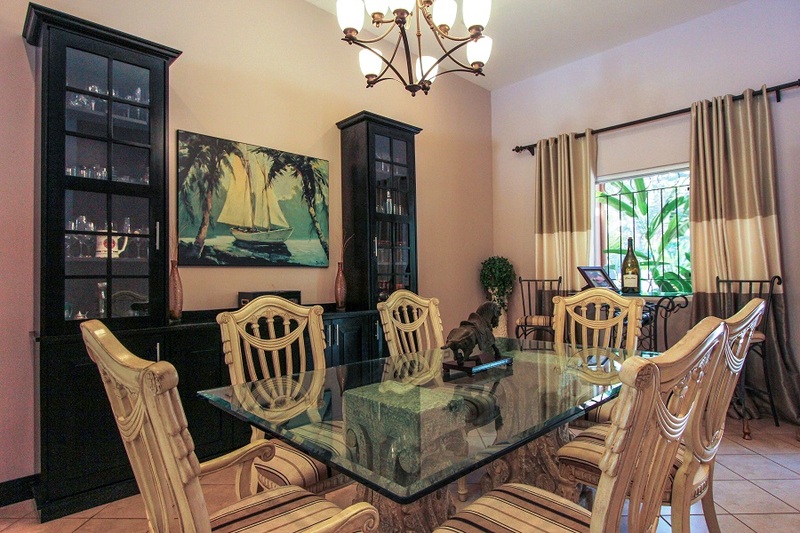 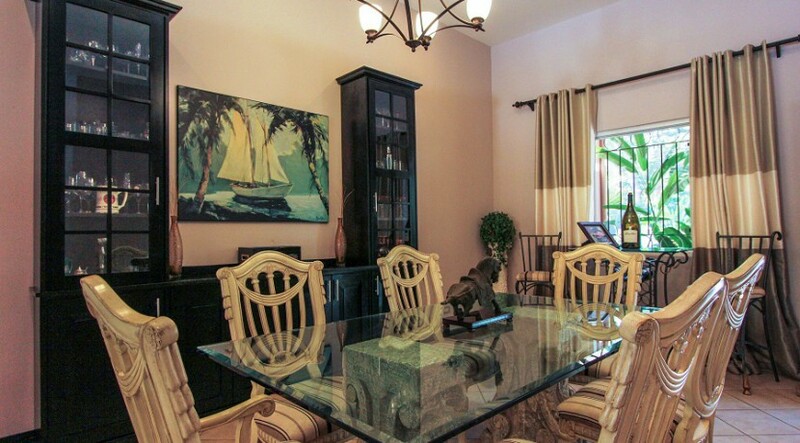 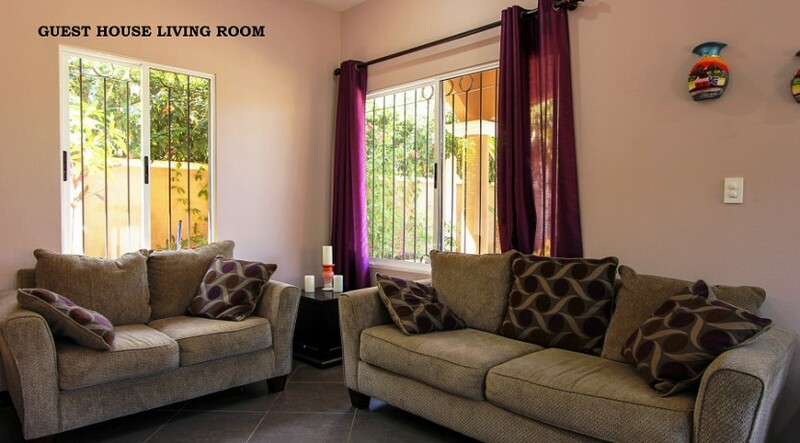 This property is sold turn-key with all appliances, furnishings and many extras. 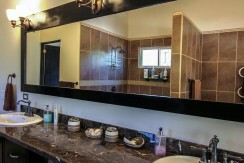 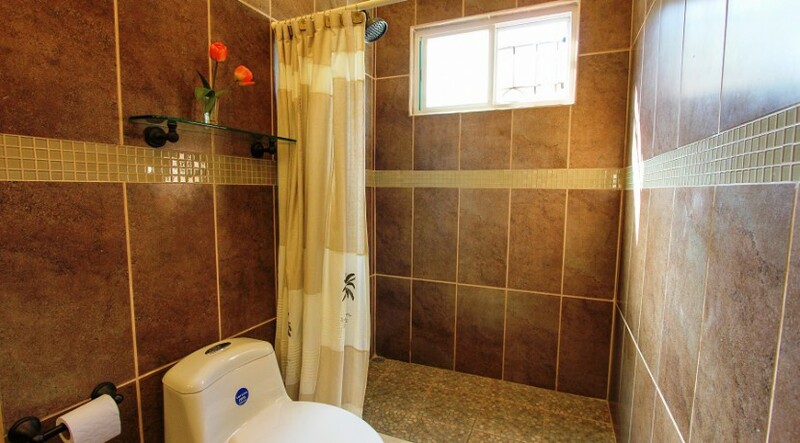 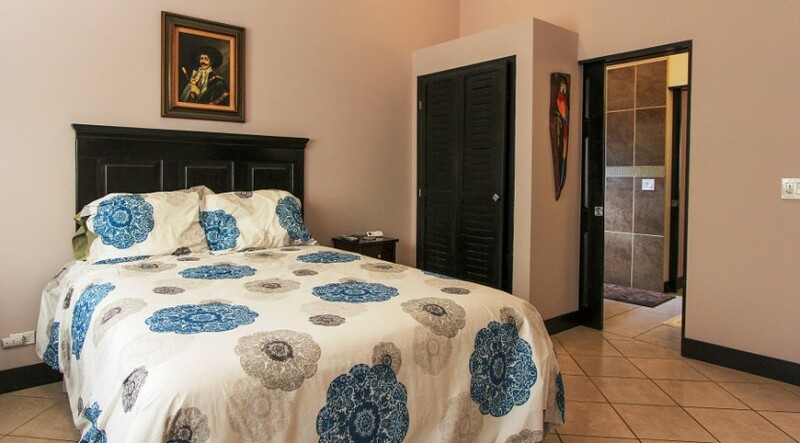 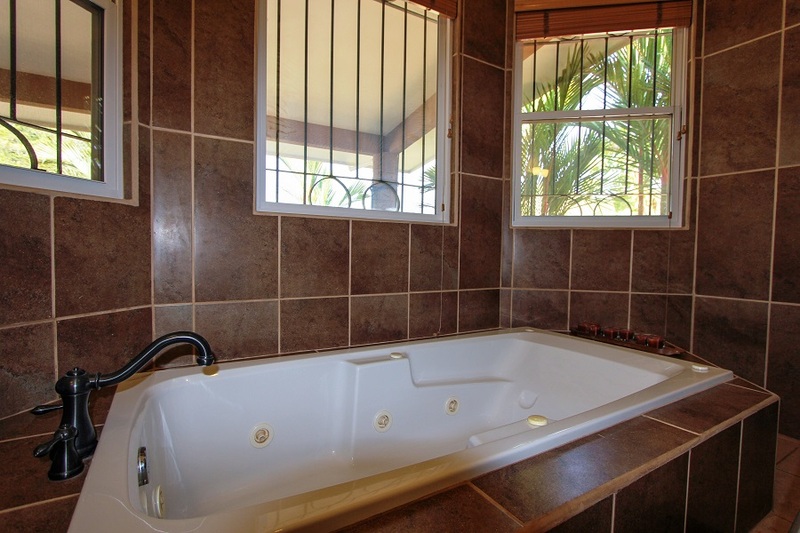 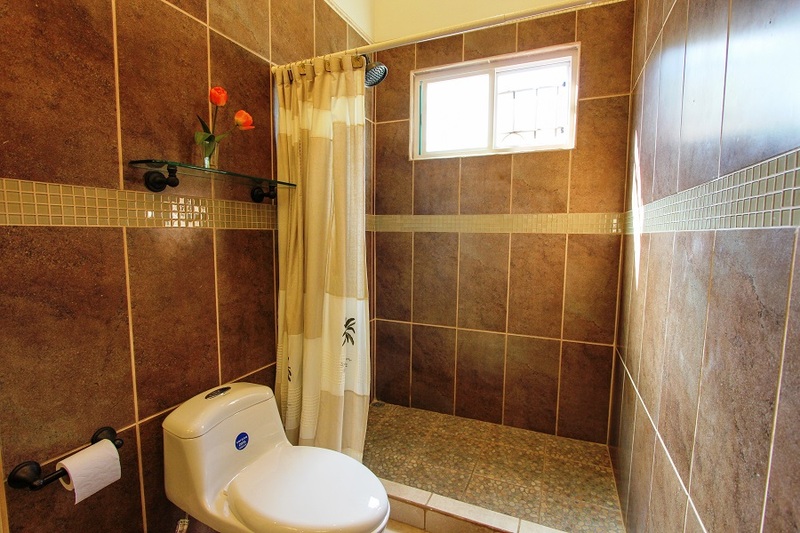 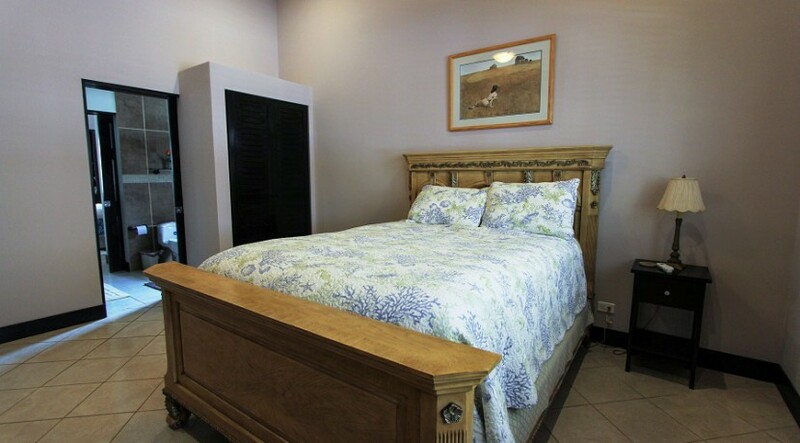 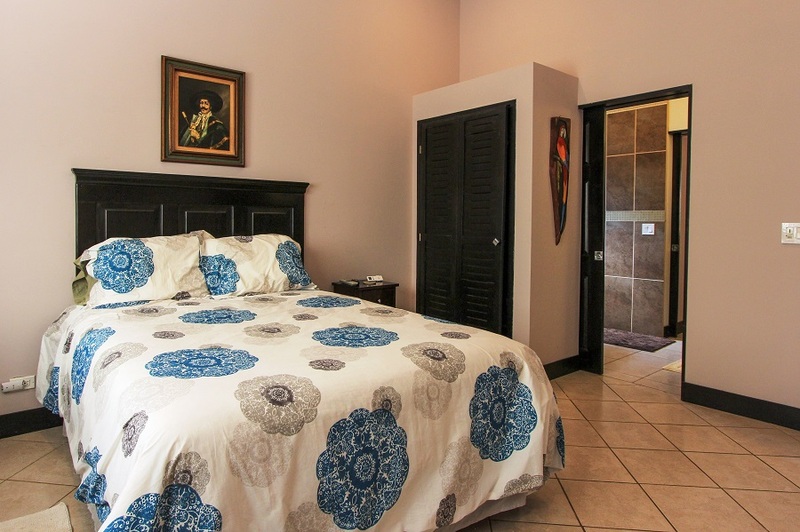 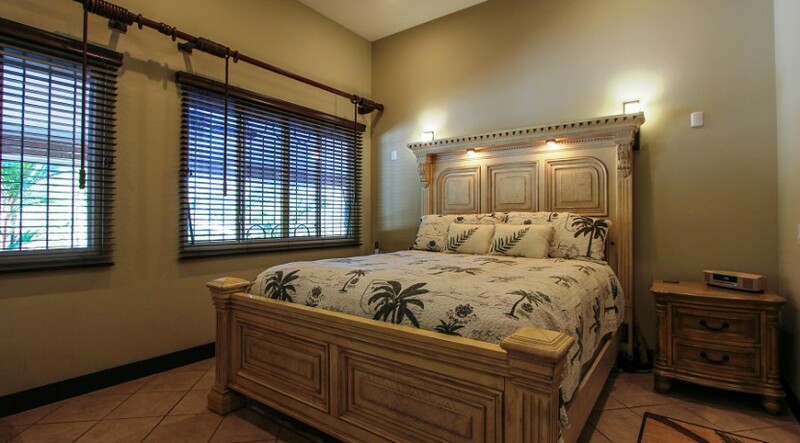 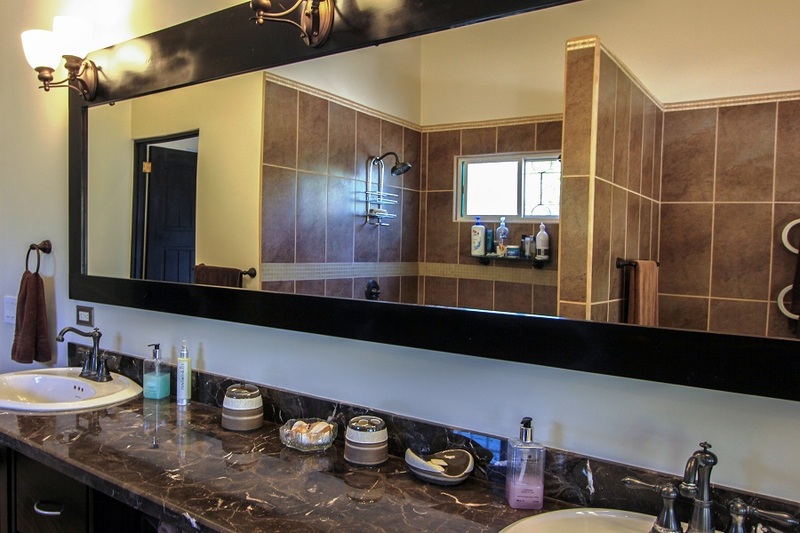 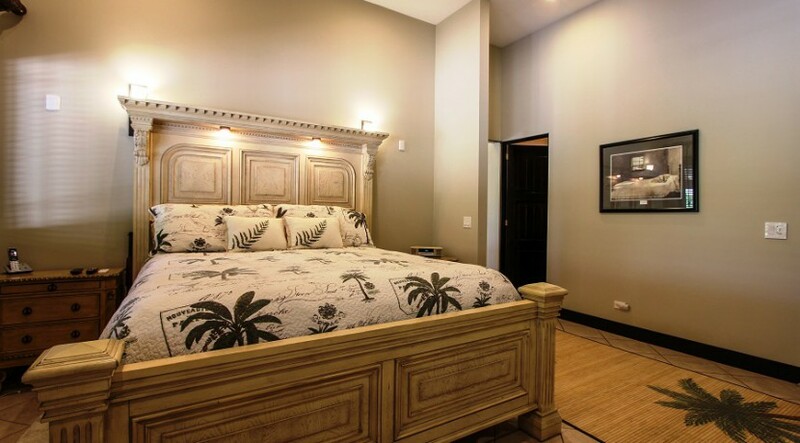 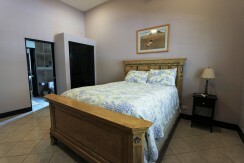 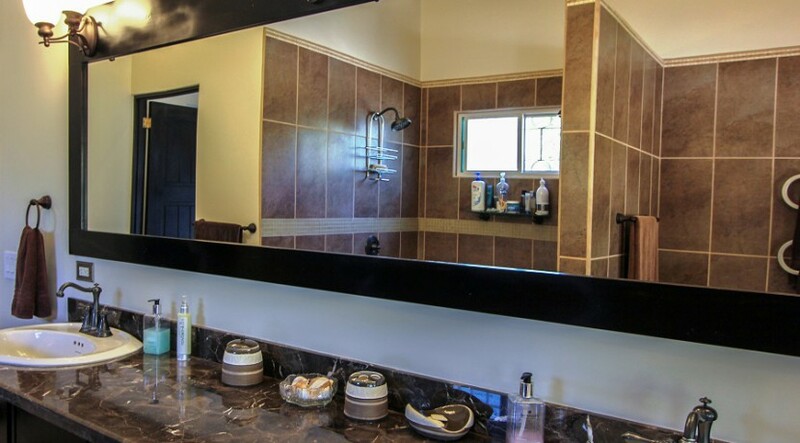 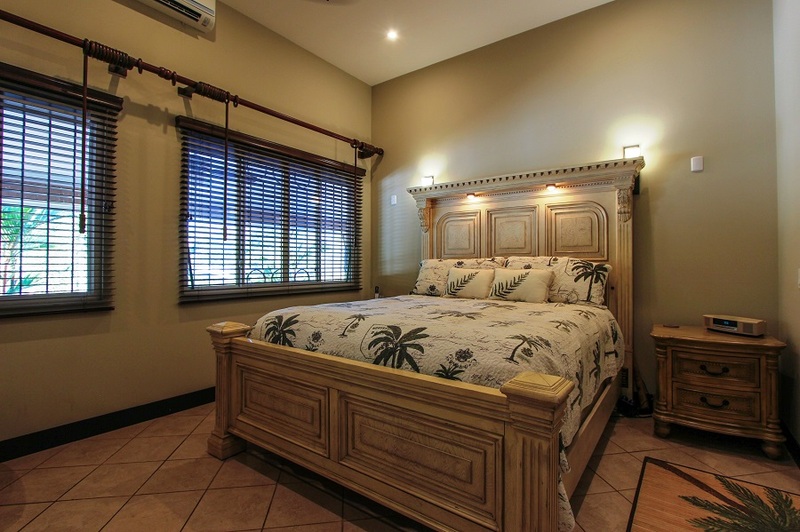 The large master bedroom has a large en suite bathroom with double sinks, Jacuzzi-bathtub and walk-in closet, and there are two guest rooms at the other end of the house, adding privacy and quiet for all. The guest house is a fantastic addition to the property, finished in 2014, has one bedroom/bathroom, a kitchen, living room and dining area, as well as front porch space and is a totally separate space from the main house. 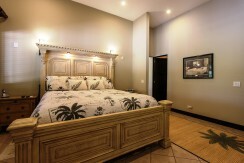 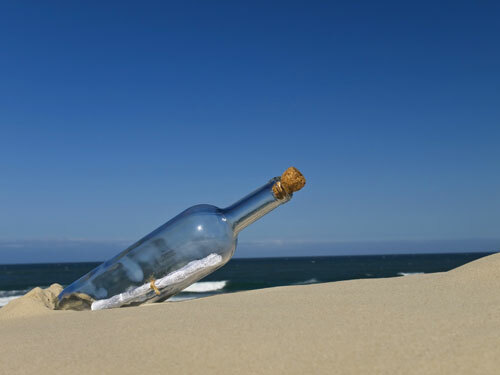 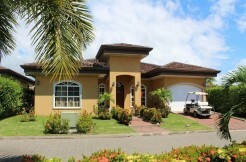 Current owners have been renting out the guest house with much success and can be utilized as an income generator. 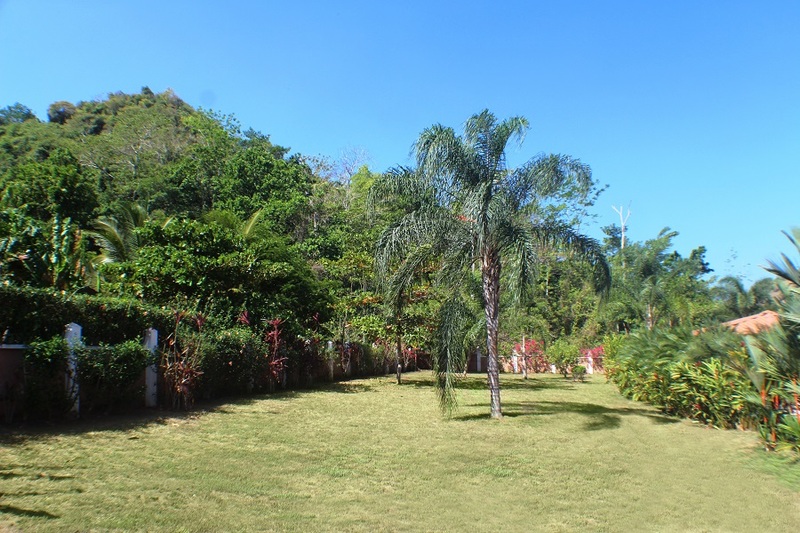 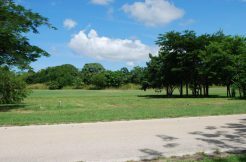 Property also has a huge swimming pool and BBQ deck area, done in gorgeous limestone, as well as a pool gazebo, and plenty of yard space left over for any additions or just to enjoy as wide open space. 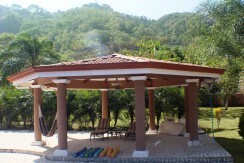 There is also a separate bodega housing the pool pump, and large enough to add a full bathroom if needed. 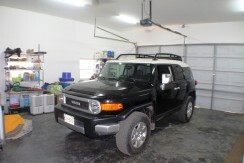 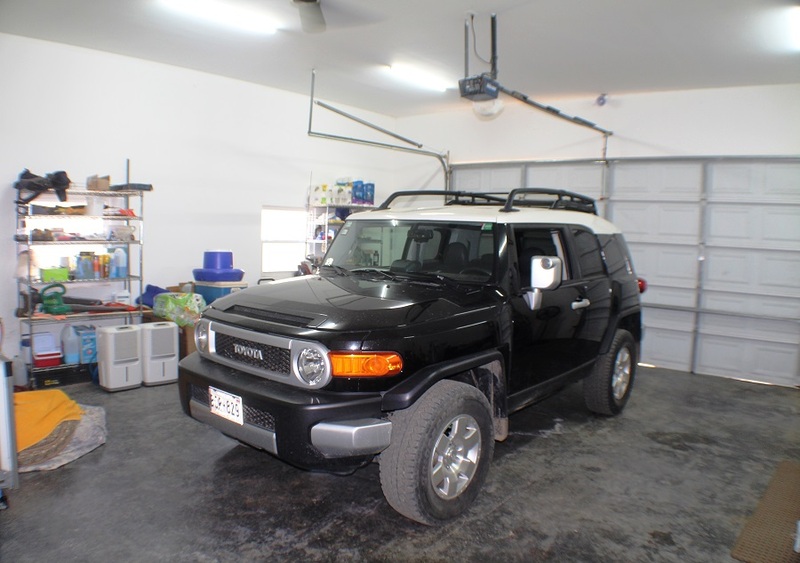 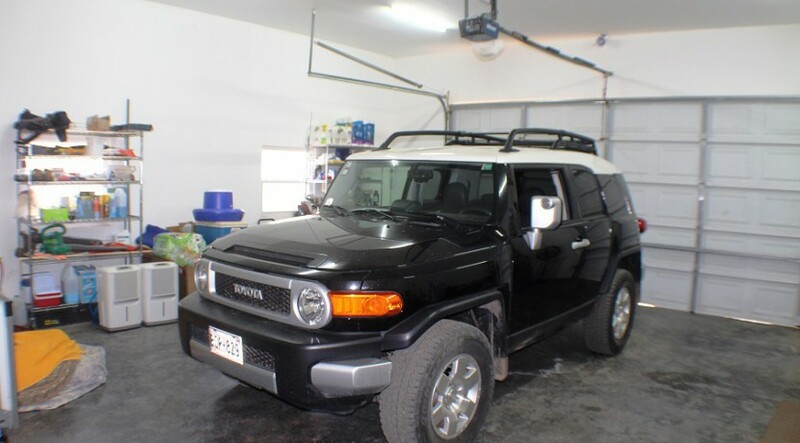 There is a huge two car garage for your cars, tools and beach toys with concrete floor, well lit with shelving, work tables, and electric garage door. This home can be shown by appointment only.